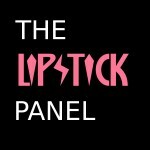 In the first ever episode of The Lipstick Panel, the gang ranks the songs on the 1st Kiss album with special guests Kyle Hebert (Dragonball Z) and Tyson Leslie (Vixen). Info: Lipstick's first ever "State of the Band" address goes into the past, present and future of the band, along with an announcement about the band's new ranking podcast, The Lipstick Panel. Hey everybody! Greg here, giving everyone an update in the world of Lipstick. There have been some people talking about us on the internet. I know, weird right?